The least few months on Bulleting Bird have been absolutely splendid, fun and challenging in all the right ways. However, that also means I've had no time to run maintenance, analyse insights, optimise the website, or just sit back and breathe! So, with this post, I will be going on a blogging break until New Year's Day. Don't worry, though, my Instagram, Twitter and E-mail will still be 100% functional! Just no more new blog posts until 2018. Thank you so much for all your amazing, continued support, and I wish you an amazing Christmas, and a safe, hangover-free New Year! I know I'm far too old to be writing you, but I hear you're not agist. I never had a real Christmas as a child, and I can't believe all the wonder and joy I missed. My first real taste of Christmas was at the age of nineteen. But that's cool, I totally forgive you! This year, I've been very, very good. I graduated with Honours. I got over acute, severe depression and life-long anxiety, and I even stopped self-harming. I learned to say 'no' to every situation and person that made me uncomfortable, and gained the courage to let go of everything that kept me down. I stepped out of my comfort zone, blasted through my shell, and really put myself out there. I let more people into my life, and shared as much as I could, and then some. I'm very proud of how I've grown this year, and I think you would be, too. It's funny how the magic of Christmas comes alive the second December begins. I've never played in the snow, but I imagine the blanket of white makes it all even more magical - kind of like walking on a cloud! For Christmas this year, I want every child to find that magic and wonder. They say that Christmas is a time for family and love. The only family I'm really close to is right here in our home - Mum, Dad and Summer. For Christmas, I want all of them to find joy and grace in every moment. I want them to have all the comforts and luxuries they desire. I want to be able to express my love to them more openly, and I want to learn how to accept the love they give me. Speaking of love, let's talk for a second about Mistletoe. How on Earth did it become a thing for people to kiss under a branch of Mistletoe? Seriously, no plant should have so much power. This year, I had to let go of my first serious romantic relationship. It was the perfect relationship with all the adorable little moments and the sweet pictures and the amazing butterflies....until it wasn't. I can't help but feel a little wistful about what I had to give up. Now I know that if it was meant to be, it would have lasted, and that I am now available for a much better relationship that will truly help me grow - and that was it, wasn't it? I'd outgrown the relationship - but I can't help the loneliness. For Christmas this year, I really don't want to be alone. And while I'm not going to put massive expectations and ridiculous burdens on you, all I want is to know that it will be okay - that I won't be alone forever. But most of all, what I want for Christmas this year is Hope. The next time was when I had to take a nine-hour flight all alone, with five large pieces of luggage and no prior international travel experience. Then, I was convinced I wouldn't be able to return to University for my second year. and then my third. Somehow, it all worked out anyway, despite my lack of hope! Now, I am putting all of my time and effort into a new career commitment, and hope is exactly what I need. And finally, Santa, I want to be able to make a difference to this world. I want to make sure that every child gets the education s/he deserves. I want to help every lost and terrified young person discover their passion. I want to show my peers and my elders that it is okay to chase our dreams, that it is safe for us to be ourselves, and that it is important to find our gifts and share them with the world. I want to wake up on Christmas Day, 2018, and know that in the last 365 days, I brought more to this world than I took from it. Of course, the milk is in the fridge, cookies are in the jar, and carrots are in the veg tray - it's 2017, please feel free to help yourself! Thank you so much for being the magic I believe in, and don't worry, I'll write you every year. On the outside, I had a perfect life. I had an amazing room-mate (who also happened to be my best friend), I was studying on an incredibly challenging course and my grades were pretty good, I was in a serious, long-term relationship. We are nearly at the end of the Blogmas series, and I want to start today's post by thanking you, my readers, for spending some time on each of these twelve days to come and talk to me. You have no idea just how much it means to me! This series has challenged me and changed me in such a short span of time, and yes, some of it has been incredibly tough, but I wouldn't change one second of it. In this second-to-last post, I want to get a little more personal, and share with you guys the roller-coaster that 2017 was for me. But first, of course, let's go through the usual plugs. 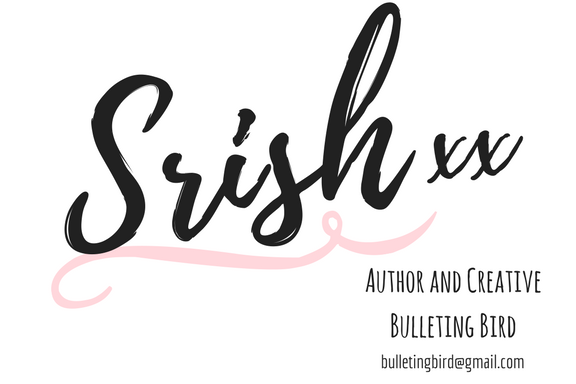 I'm going to be sending out a MASSIVE early-bird announcement to my newsletter list about a big launch (and of course, another giveaway!) coming up in 2018, so if you're not on the list, join in using the form below NOW! Seriously, you do NOT want to miss this. A super-quick reminder: my first ever e-book, A Winner's Mind, is available for sale at a super affordable price for December only! Go grab it quickly by clicking the banner below! Also, the Great Ideas Thinktank is always open to new members! We share some good ideas over there, as well as what we're working on, and we love cheering each other on! The Thinktank is an amazing community of love and support, and you really should join in! Click the banner below and check it out. 2017 started at a very low note for me. (Yup, we're jumping right in.) My brain was a dark and jumbled mess, and my heart rate was almost always at a constant rate of 120 bpm. I hated waking up in the morning, and I couldn't possibly go to bed at night. On the outside, I had a perfect life. I had an amazing room-mate (who also happened to be my best friend), I was studying on an incredibly challenging course and my grades were pretty good, I was in a serious, long-term relationship. I had clothes on my back, shoes on my feet, a cup of coffee in my hand, and some very expensive makeup on my face. And yet, the best part of my day was when I'd curl up in bed and pretend I didn't exist. I should've seen a doctor years ago, I really should have, but the Impostor Syndrome wouldn't let me. What if I just wanted attention? What if I was just being lazy, looking for a doctor's note to get me out of studying for my exams? However, when I woke up one day to find large scratches up and down my arm from the horrible night before, I knew I needed help. Of course, it took me another couple of weeks before I finally found the courage to go see a GP, but I like to believe that was my turning point. If there's one thing my parents have taught me, it is to respect my body - I couldn't possibly let them down. Obviously, I was diagnosed with moderate to severe anxiety and depression, and put on antidepressants and sleeping pills immediately. And although mental health medication gets a bad rap from almost everyone who uses it, I can honestly say that those little white and orange pills are the only reason I'm alive today. Oh but it gets bad - so, SO bad before it gets good. I was a hazy, numb shell of a person, walking up and down hills without even noticing the traffic, skipping meals where possible, self-harming even more than I was before, passive suicidal thoughts roaming around my head as if they belonged up there. I had to change medication three times, and each new pill made me so much worse for about two to three weeks before any effect kicked in, and that's not counting the changes in dosage for each pill. When, finally, my GP found me a combination of meds that actually worked, I cried. I cried because, not only could I feel again, I could see hope! You know that feeling of driving through a tunnel with no radio reception and barely any light, desperate to get out the other end? That was my life for about four years, except I wasn't getting anywhere. My car had broken down in the middle of a tunnel. Until one day, someone picked the tunnel up as if it were just a lego brick, and suddenly, everything was illuminated with bright, glorious daylight! This was days before my 22nd birthday - a day I was sure I'd never see. It's so strange to look back now and wonder just how my life had gotten to that point. How could I possibly have lost so much hope so quickly? Especially since I was living the exact life I'd always wanted to live?! Truth is, I don't really know what went wrong. All I know is one day I was a happy First Year, boasting about all A*s at my A-Levels, and the next day, I was nothing....or at least I wanted to be. You can imagine what a relief it was for me to make it to graduation - easily the biggest day of my life, and the most terrifying. I had no plan for post-graduate studies, no job prospects. I was a graduate with a degree and nothing else, because I couldn't find it in me to get out of bed and go get work experience for the last three years. I felt shame, guilt, self-loathing...every negative emotion you've ever imagined, I've probably felt it. But, I was still here. I was wearing a gorgeous black dress, my best friend was graduating with me, and my parents were there. That was already far more than I'd expected, and I was glad. Now, my life is completely different from anything I've ever imagined. I don't know how or when, but Bulleting Bird suddenly became my life! When I found my first thousand followers on Instagram, I knew this was no joke. So I did what I do best - put my head down and got to work. Today, I can proudly say that I love where I am. Yes, I'm sitting on a Neuroscience degree with no lab work to show for it, but you know what? It's fine! I love that I got the degree, and I'm forever grateful for everything England has given me (including the healthcare that saved my life). Having said that, I'm also incredibly proud of my new career shift! I love waking up each morning, knowing that the only tasks I need to do are the ones I set for myself. I love knowing that, no matter what, I've made some amazing friends online, and there are people out there witnessing my life and my work. I love my blog, and I love playing around on social media. I love the wonderful book that wrote itself through me, and I'm so proud of having stuck to such a long project. I love every single page of my journal. I've never been in a happier place in my career, personal life, creativity or health. 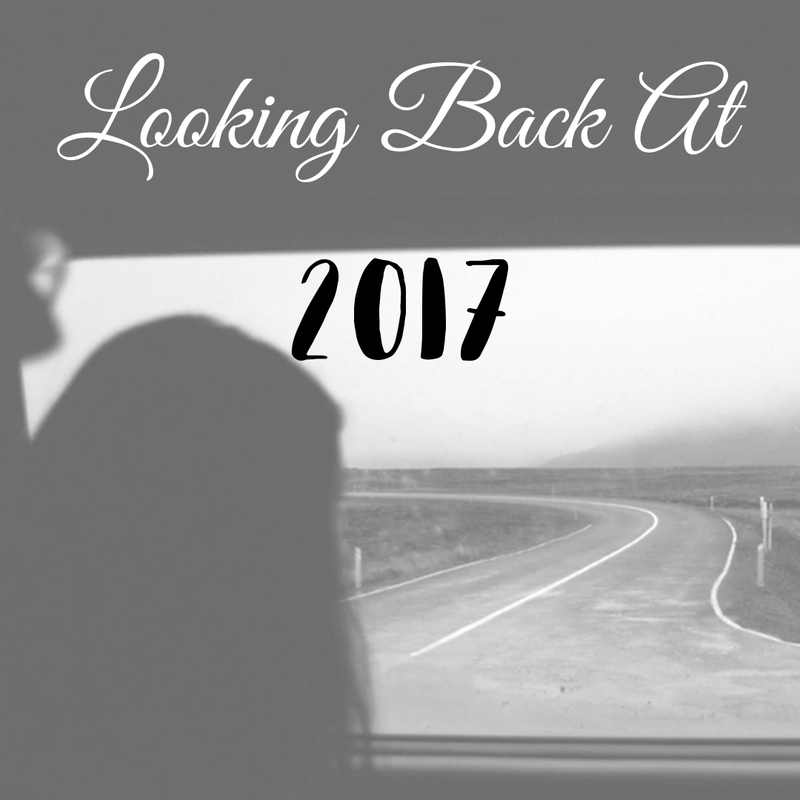 Yes, 2017 had its challenges, and yes, there were some difficult moments that I wasn't sure I'd make it out of alive. 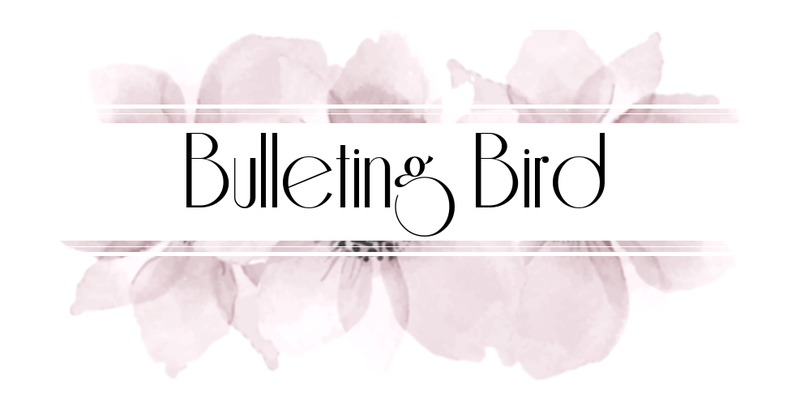 Bulleting Bird is on Instagram, Twitter, Pinterest, Facebook and Tumblr. You can also get in touch with me via E-Mail, even just to say hi! 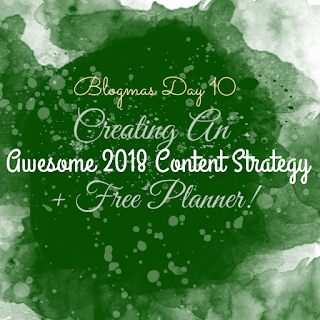 Today, I'm going to walk you through a super easy way to create a content strategy for your blog and/or online business, and we'll also talk a little bit about planning out marketing for said content, and let me tell you, this post is overflowing with serious ideas. We're so very close to the new year, and if you're eager to make 2018 your year of internet explooooosion, this is the post you're looking for, my friend! 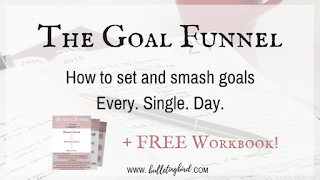 Plus, I'm sharing with you an awesome, 26-page content planner to go with this post, so quick! Grab it before you read this post, and fill it out as we go! Today, we'll create your awesome content strategy in 3 easy steps. Let's jump right in! Yes, yes, you've probably done this already for 2017, or 2016, or any number of years before. But guess what! As your business grows and changes, so does your audience! Think about it. How has your product or content changed in the last few years? Or, if your brand is fairly new, in the last few months? More often than not, you'll find that the people whom you currently work with are nothing like those you worked with when you first started out. However, chances are, you're still creating content for your first few viewers! So before we create a content strategy, let's create an audience persona. Think about your current audience as one single person. What gender and age group leaps to your mind? What is their day job, and what do they want out of their career? Think about how this person dresses, talks and acts, where they go on their weekends or holidays, what they spend money on, and what their problems are. Do the same thing for your very first group of readers or customers, who may or may not still be in touch with you. Remember, it's totally okay for you to not align with them anymore, there are thousands of other people who will! Just be honest with yourself and your plan, and write down exactly whom you catered to, when you were just starting up. Now, look at the last few products or posts you put out into the world. Which of the two personas are those better targeted to? Are they in alignment with your current audience, or did you right them with your old audience in mind? By defining our current audience, and updating this definition every 6-8 months, we can be sure to keep up with the changing seasons of our business. This will inevitably lead to growth! Or four large ones, or eight smaller ones.Choose whichever number is realistic and doable for you. The number one mistake that business owners make is to launch far too much, far too quickly, then have nothing to do for the rest of the year. Not only does this make the start of the year incredibly busy, stressful and terrifying, it also means that at the end of the year, their brand is pretty much irrelevant, stale and forgotten. In order to avoid this consequence, as well as the initial burnout, a great idea is to pick a small number of projects, and space them out across the year. For instance, you might want to launch an e-book, an online shop, and freelance packages. If you launch them all at once in January, not only will your audience be overwhelmed, they will most likely get tired of your new updates every other day. Result? A whole bunch of Unsubscribes. Besides, even if your audience is super ecstatic about all these new launches, I can tell you now, that will be short-lived. The hype will eventually die out, and if you can't keep up with the momentum of a new launch every few days or weeks for the rest of the year, the excitement will fizzle out to nothing. So, instead, pace yourself. Take your big projects (ideally no more than six big ones), and spread them out across the year. The easiest way would be to take two months per project, but you can totally divide the year up in any way you see fit. The point is to slow down and plan your launch in enough detail, so that you're not working 40-hour shifts in front of your computer in January and then disappearing off the grid for the rest of the year! This is where the real elbow grease goes in. Once you've got a vague idea of what each project will be about, it's time to start writing down the details, and I mean the details. What will the end product look like? What is your colour scheme for the project? Why are you working on this? Think about your schedule - how many days will it take to complete this project, and how many hours would you have to dedicate to it each day? Are there any important events already in your calendar? How will you work around that? Create teaser images for my project to get my audience excited, but also keep myself accountable! Think about the financials: Will I make money off this project? How? How much money do I expect to earn? How much money will I need to invest in this project? Plan, design and create a marketing plan for the product: which platforms will I market my work on? Will it be online or offline, or both? Create reports on how the launch went, which strategies work, which marketing techniques brought me the most engagement, etc. Then, I'd take all the information from Month 2, and start all over with my next project. With this method, not only are you constantly occupied without being overly strained through the year, you're also working in the present. That part in the second month where I take feedback and make reports? That allows me to stay totally up to date with my audience and their changing needs, as well as the current scenario in my market, what's popular, how other factors (politics, sports, medical needs etc) affect the spending habits of my customers....you get the idea. While it is absolutely amazing to enjoy the daily grind, it is so, so important to always be aligned with your goals! Sometimes, when we're making our work up as we go, we can get caught up in what's happening out there in the world, and forget to look at our own internal purpose. Remember, although it's great to try your best to please the customer, this is, after all, your business. It was born out of your need to share something with the world - never lose sight of why you started! 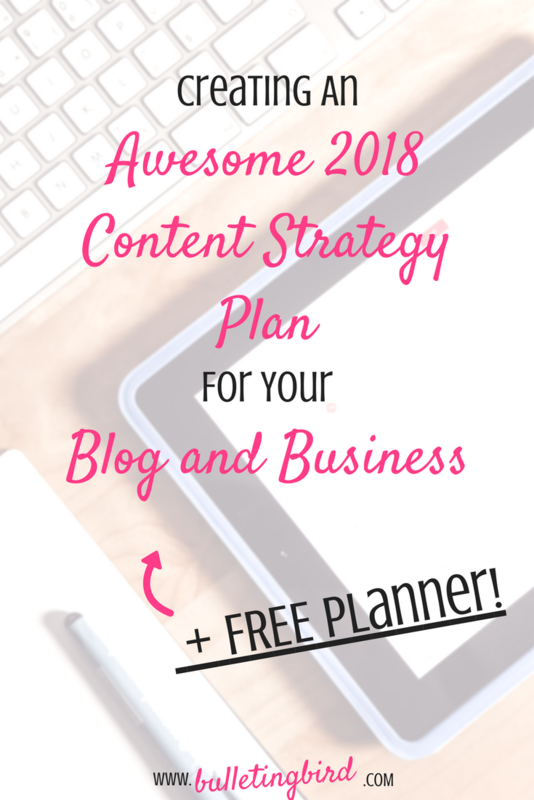 With this in mind, it should be a lot easier to create a content strategy for 2018, and I highly recommend scrolling back up and grabbing a copy of the Awesome Content Strategy Planner! It will walk you through each step of creating your awesome plan, and also has some extra tips to help you along the way! If you found this post and the Planner helpful, please share it with someone who might appreciate it too! As always, thank you so very much for reading, and if you haven't already, check out the rest of the Blogmas series at the links below! I'm always open to comments, questions and requests, so please get in touch with me via Instagram, Twitter, my new Facebook Page, or e-mail! Thank you so much for being here, and I'll see you guys tomorrow with another new Blogmas post! Blogmas Day 9: How To Be A Photo-Editing Genius! 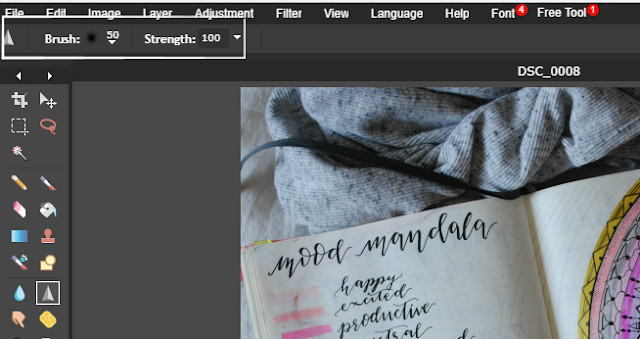 today, I'm going to share with you the exact steps I take to edit my own pictures and optimize them for different platforms, and make them look super shiny. Not only does this give your pictures their best chance at engagement, it also gives you complete control over the aesthetic and the story you want to share through the picture. Today, we're going to step away from creating awesome Bullet Journal content, and focus a little bit on something broader (and more fun!) - showcasing your work in its BEST form! That's right, today, I'm going to share with you the exact steps I take to edit my own pictures and optimize them for different platforms, and make them look super shiny. Not only does this give your pictures their best chance at engagement, it also gives you complete control over the aesthetic and the story you want to share through the picture. Through this tutorial, I will be using Pixlr's free Online Photo Editor (I use the free mobile app to do most of my editing for Instagram on a daily basis! ), and I will walk you through the exact process of editing a picture that is up on my Instagram feed. Note: You will need Flash enabled to run the Pixlr Online Photo Editor. 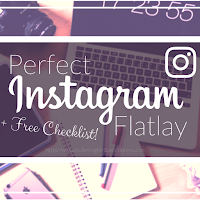 Before we get started with the post-processing of a photo, make sure you've read my post on how to take much better pictures and flatlay's for your Instagram by clicking the button below! Once you've got your picture taken, we can get started. 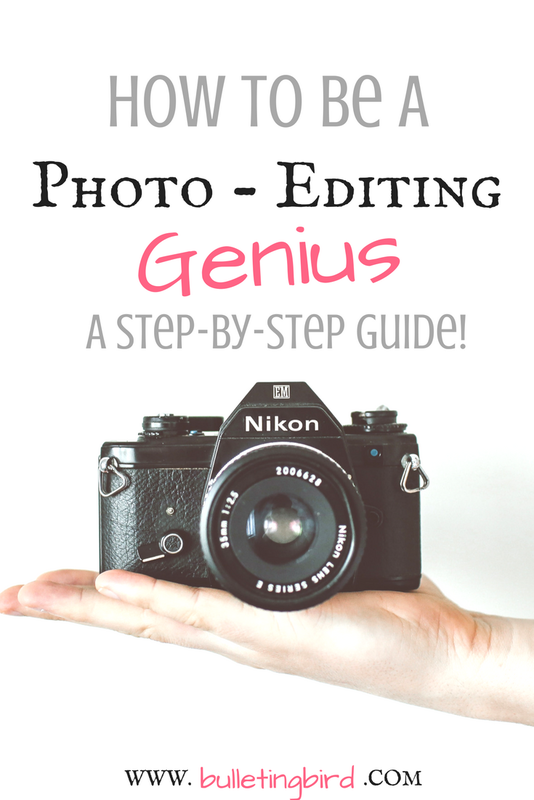 Contrary to what you may have assumed, the first step isn't actually to fire up your photo editor. Instead, you need to know the dimensions of images that your platform(s) of choice accepts. Once you've figured out your dimensions, crop your image down to this size. 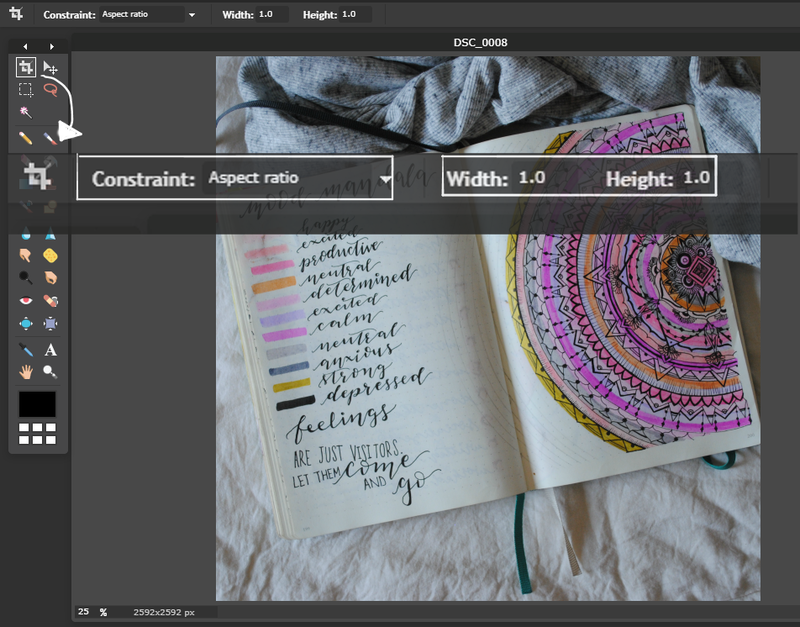 You can do this by entering the aspect ratio, selecting an area of that ratio with the Crop tool, then double-clicking on the selected area to give you the cropped image. For this example, I'm cropping my original photo to a 1:1 aspect ratio to give me a square image that I can upload to Instagram. 2. Use the Sharpen tool....frequently! As a rule of thumb, I like to sharpen my image a little between each step. As you crop your image and begin to adjust the colours, you'll notice that the clarity is lost just a little with each adjustment (especially when you play with the Brightness and Contrast). Use the Sharpen tool (the triangle on the side) as a Brush to sharpen specific areas. 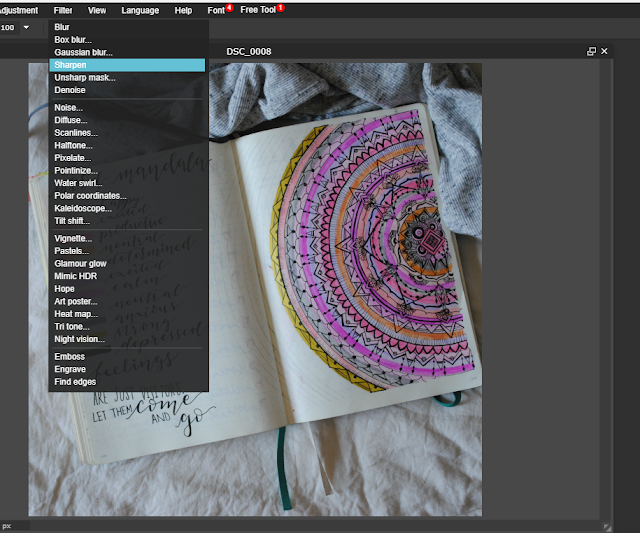 Or, if you're very new to photo editing, simply go to the Filters menu and select Sharpen. The difference may not become very obvious at first, but as you go along and the quality of your image deteriorates more noticeably, you'll see exactly how the sharpen tool helps. In order to best preserve the quality of your image, use the Sharpen tool to a small degree after each of the adjustments below. This works a lot better than simply sharpening the image after all adjustments have been made. A lot of times, people get confused by the difference between Exposure and Brightness. In fact, you probably think this is the same thing. It's really not. Highlights: All the white and very, very light-grey colours. Shadows: All the black and very, very dark-grey colours. Midtones: All the tones that fall between the Highlights and the Shadows. With a coloured image, it analyzes each colour in the same way, categorizing every tone (every pixel, even) into Highlights, Midtones and Shadows. Here's how exposure and brightness change these values. Exposure: Normally, Exposure affects Highlights and Midtones, but it has a greater effect on the Highlights. In simpler terms, Exposure will make your whites super white, and your grey slightly lighter greys. Brightness: Brightness, on the other hand, affects Highlights and Midtones to the same extent, meaning that your whites and greys are lightened to the same degree. That is, if you increase the brightness by about 20%, each of the whites and greys is brightened by 20%. As you can tell, the image adjusted for Brightness looks like it has a grey film on it - this is because the colours that would normally form the midtones (i.e. the shades that add dimension to the image) have also been lightened! If you're on the mobile app, there is an option known as 'Lightness'. In the Online Editor, this is slightly more complicated, as the Levels adjustment. Lightness acts in a similar way to Brightness, except that it also lightens the Shadows! Basically, it alters the "threshold" for Shadows or Highlights - if you set a higher Shadow threshold, the darkest point on the image will now be much lighter (i.e. black becomes grey), and all other colours are adjusted accordingly. Vice versa, if you set a more negative threshold for Highlights, your whites turn to greys, and all other tones become darker. It can be a little tricky to wrap your head around the idea of Lightness, so don't worry about it just yet! And remember to Sharpen your image after every Brightness adjustment. This one's easy, you know it already. Contrast is the difference between the light and dark tones. Increasing the Contrast value makes your light tones lighter and your dark tones darker. This is a great adjustment to use alongwith Brightness, if your original image is a little dark. Because Brightness gives us a paler, grey-ish effect, Contrast can be used to bring back the darker tones without losing any of the brighter ones! Contrast can really be hyper-exaggerated to give a more dramatic or vibrant effect, but remember, it also makes the light tones lighter. If, like me, you post pictures of your writing or journal online, increasing the Contrast too much might cause all those finer lines and alphabets to disappear completely! And, again, Sharpen that image! Your Colour Balance is one of the most crucial parts of your picture. Depending on how you adjust the colours, the mood of the image can dramatically change! 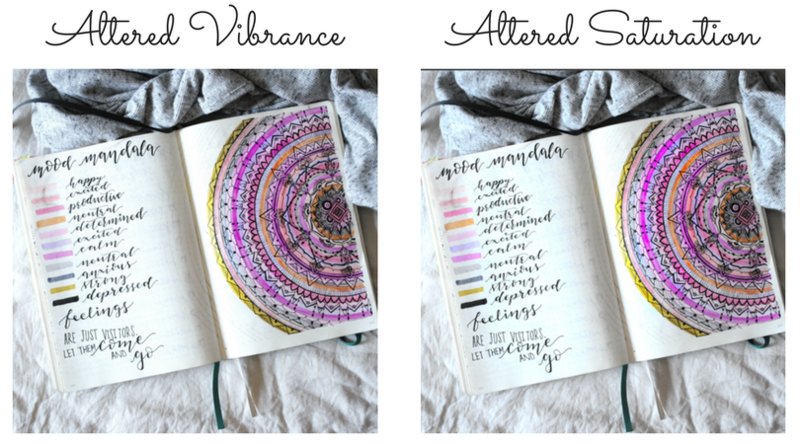 This Mood Mandala is from my Bullet Journal in November, when I was beginning to transition to more cooler toned colours, with the pinks and greys. So, for every image, I made sure to adjust the colours to fit this theme exactly. The quickest way to adjust the colour balance is, funnily enough, not by adjusting the Colour Balance. The Pixlr Online Editor has an amazing 'Vibrance' adjuster. Reduce the vibrance a little, and boom! Your image is a lot more cool-toned (or muted). The other thing to play around with is the Saturation. Reduce the Saturation just right, and it will mute out just the more vibrant tones. Of course, the opposite would work too - increasing the Vibrance or Saturation might give you a more colour-popping, warm effect, which is absolutely brilliant for post-processing artwork! Here's how I've adjusted the tones of my image using Vibrance, and then replicated the effect by altering the image Saturation. Alright, this is legit one of my favourite things to do in Pixlr, it's so therapeutic! 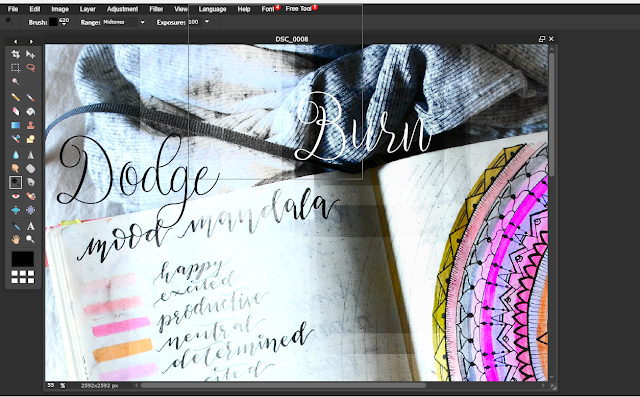 Pixlr comes with Dodge (lighten) and Burn (darken) brushes, which allow you to selectively lighten or darken certain areas of the image. I always use this to even out any uneven lighting, or darken an over-exposed dark background, and it works so well! To illustrate how this works, I've striped out areas of the image with the Dodge/Brighten and the Burn/Darken brushes side-by-side. Use the 'Double Exposure' tool in the mobile app to add a watermark. The mobile app also has stickers and frames you can download - I always use the frames! Save the image in High Quality! I hope you've found this little tutorial super helpful, and I'd love to see your Before and After shots in the comments below! If you love this post, share it with someone who can use it! As always, I'm more than happy to answer any questions and comments, and am always open to requests, so please feel free to drop me a line on Instagram, Twitter or via E-Mail! However, some tweaking here and tinkering there can take your awesome photo to a completely new level! Thank you so very much for reading, I truly hope this tutorial helps, and I'll see you guys again tomorrow, with yet another helpful post! 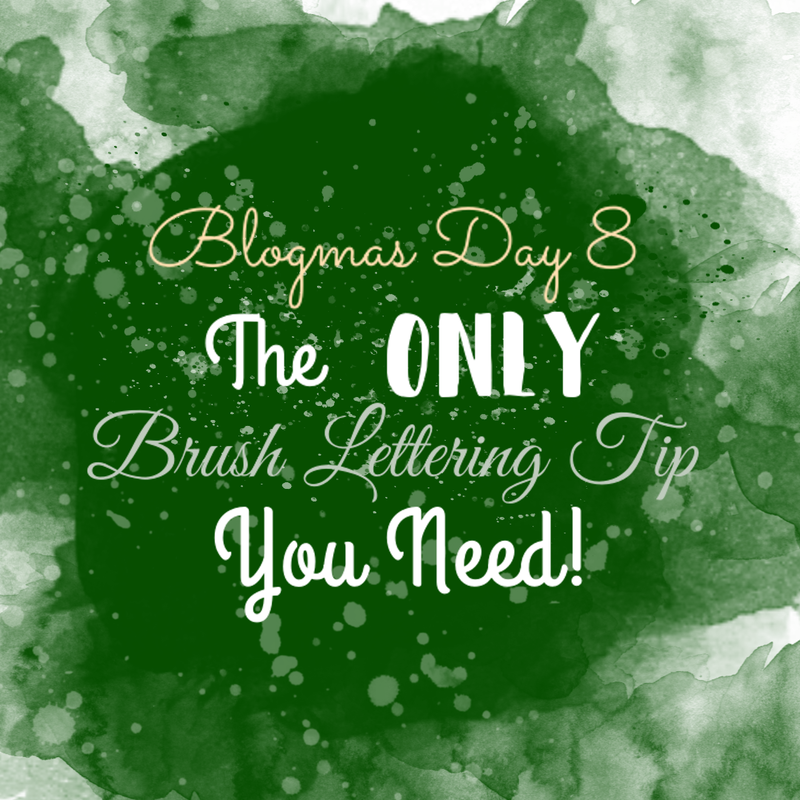 Blogmas Day 8: The ONLY Brush Lettering Trick You Need! 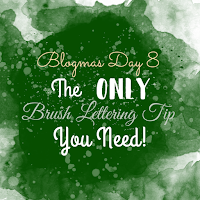 We're officially in the second week of Blogmas, and following on from yesterday's post about faux calligraphy, today, I want to share with you the one cheap trick that will take your brush lettering to the next level in no time. If you don't know what brush lettering, first of all, are you okay? Like seriously, have they limited your internet services? Do you want to talk about net neutrality?? Second of all, brush lettering is exactly what it says on the tin - using a paint brush to create a calligraphy effect. Luckily for us, they now have pens that come with brush nibs - again, did you really not know this already?? Brush lettering is all the rage in the Bullet Journaling and study community. Now, I'm not going to lie to you. There is a definite learning curve to brush lettering, and it does get harder before it gets easier. However, here's a super quick trick that, frankly, was born out of my desperation to look for a technique that works for lefties like me. Don't worry, it will totally work for you right handed peeps too! Alright enough fluff, here's the trick. That's right, instead of lettering your word vertically, write at 90 degrees to the page. Don't get what I mean? Check out the super quick video I put together to illustrated the point. When you write sideways, your wrist is creating a back and forth movement, as opposed to an up and down movement. The back and forth movement is a much more steady, stable movement for your wrist, meaning that the upstrokes are a lot steadier, and not nearly as shaky as if you were to write straight up. Because the rest of your palm is firmly rested on the page, there is no weight on the pen, and the lines won't be as shaky anymore! Here's a blank practice sheet to help you play around with this technique (and frankly any other form of lettering! Simply right-click and save the image, and print it off for your practice. Love this post? Share it with someone who will, too! And if you do try this out, please do take a moment to let me know how it works for you. I'm always happy to hear from you on Instagram, Twitter, my brand new Facebook page, or via e-mail, so come drop me a line! 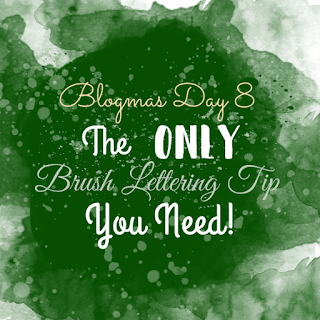 I hope you've found this quick tip as useful as I did, and if brush lettering isn't your thing quite yet, definitely give it one more try with this technique and see what you find! As always, thank you so very much for reading this post, and I'll see you guys again tomorrow with a super helpful tutorial! Faux Calligraphy is a dirty trick I use in most of my Bullet Journal spreads, to make my lettering look a lot more elegant, and like I put way more effort into it than I actually did. And here's the secret to perfect Faux Calligraphy - it's all in the habit! It's Day 7 of Blogmas, and today's post is a super quick tutorial on one of the most commonly requested topics on my Instagram pictures - Faux Calligraphy! Faux Calligraphy is a dirty trick I use in most of my Bullet Journal spreads, to make my lettering look a lot more elegant, and like I put way more effort into it than I actually did. And here's the secret to perfect Faux Calligraphy - it's all in the habit! When it comes to that cool, bouncy lettering that you see around Instagram, there is nothing as helpful as getting into the habit of freeing your wrist and allowing your letters to expand and flourish on the page. My brand new E-Book, A Winner's Mind, teaches you all about how to get into the habit of productivity, which will help you make success an everyday occurrence! It is now available to purchase at a limited-time-only introductory price, and Chapter 1 IS FREE TO READ, so go check it out by clicking the banner below! 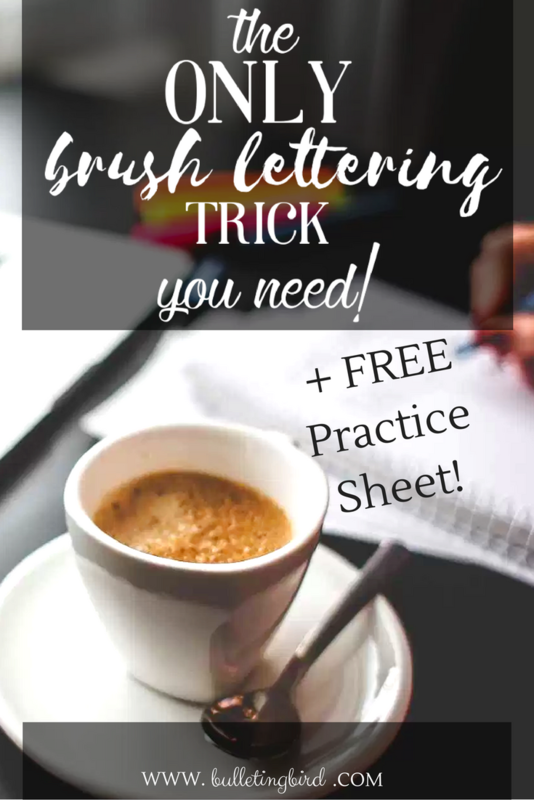 This tutorial comes with three easy-to-follow videos that will get you into the habit of writing in a Faux Calligraphy, or Faux Brush Lettering style. Once you get used to the style, faking it becomes so easy, you won't even be able to tell the difference between your lettering and actual modern calligraphy! 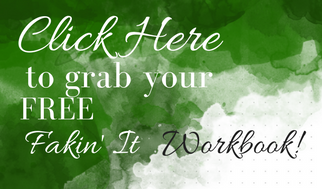 Today's tutorial goes hand-in-hand with the FREE Fakin' It Workbook, which you can find at the end of this post. Print it out for a thorough practice to get you to Faux Calligraphy Pro status! Before we think about shaping our letters and adding that cool calligraphy effects, let's start with a super simple exercise to get our writing arm nice and loose, so it will allow us to really flourish our letters. 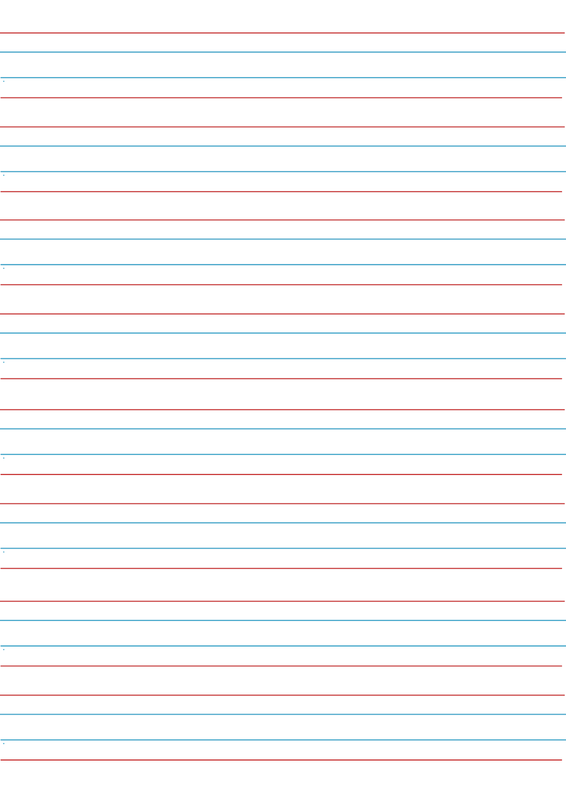 Grab any pen and any notebook, and start creating large cursive-S shaped loops like in the GIF below. Notice that while I do these, I try to keep my hand off the paper, and the only support for my forearm is at the elbow. This allows for a much greater range of movement, and protects your wrist from hyper-flexing. Vary the sizes and shapes of your loops, so you can get acquainted with different types of upstrokes and down strokes. Now that our writing arm is prepped, let's put some thought into how we shape our alphabets. Practice forming large letters by watching the GIF below, then fill out Section 1 of the Fakin' It Workbook! Having worked through Section 1 of the Fakin' It Worksheet, you will have noticed the tiny directional arrows. The third step is simple - every stroke with a downward arrow gets thickened! These downward lines are called down-strokes, and they are what differentiate simple writing from calligraphy. In calligraphy, the down-strokes are where the artist applies more pressure on the pen, causing the nib to split and release more ink (gif below). As a result, the down-strokes appear considerably thicker than the rest of the alphabet. In Faux Calligraphy, we replicate this effect of increased pressure by simply doubling the size of our down-strokes. In the GIF below, I show you how to create this effect by adding little boxes around the down-strokes, then filling them in. By following this method, our down-strokes appear significantly thicker than our up-strokes, and it is this contrast which creates the calligraphy-esque effect. After watching this GIF, practice replicating this technique in Section 2 of the Fakin' It Workbook! In this final GIF, I show you how to put all three steps together, to create a Faux Calligraphy effect on the words 'Fakin' It'. You can totally replicate this on the last page of the Fakin' It Workbook, and also practice a bunch of other phrases on this page! 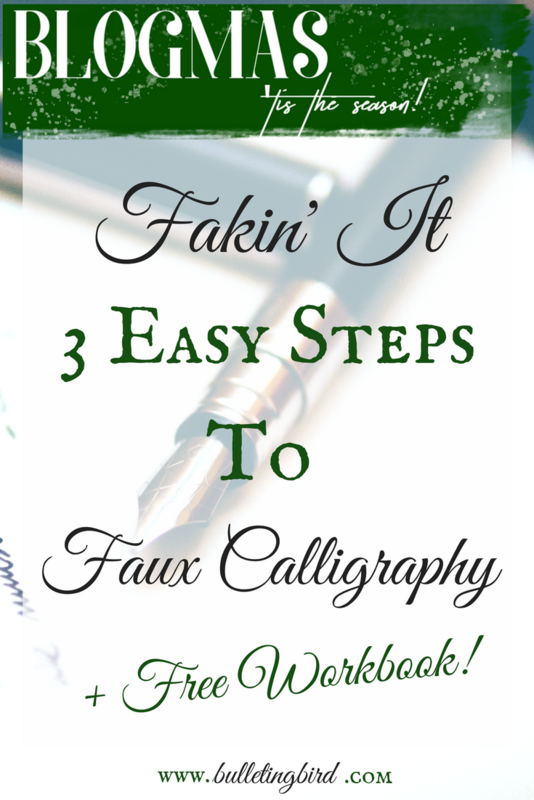 And now, go fake it on every piece of paper in the house, you Faux Calligraphy pro, you! I hope these videos have been super helpful, and I'll leave you with one final reminder: practice is everything when it comes to lettering! This Workbook has specifically been designed to be printed multiple times, so you can practice over and over again! I hope you've found this post super helpful, and if you have, please take a moment to share it with someone who might benefit from this exercise too! Remember to check in tomorrow for another awesome tutorial, where we talk all about brush lettering! Yup, that's going to be a good one! As always, I'm more than happy to receive questions, comments and requests on Instagram, Twitter, Facebook or E-Mail, so go ahead and drop me a line! Thank you so much for reading, and I'll see you here again tomorrow! Blogmas Day 6: A FREE Printable Mini-Bundle!